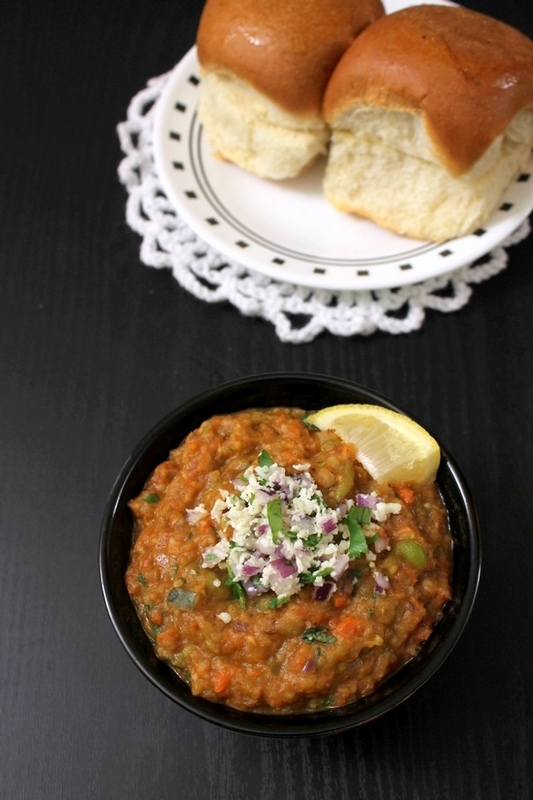 A quick and easy & delicious pav bhaji recipes served in a different way. 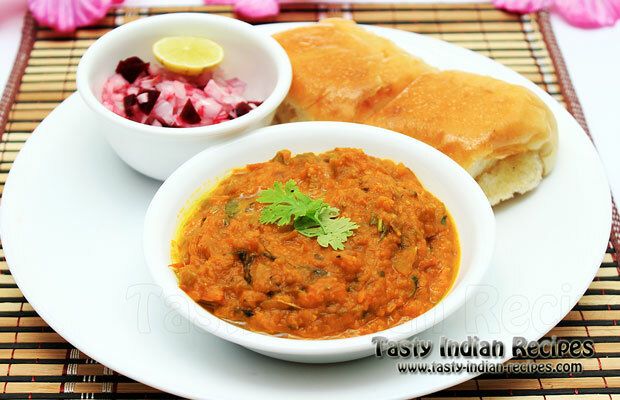 I'm sharing with you an eternally popular Indian street side snack "Pav Bhaji". This delicious treat is an assortment of vegetables and ground masala, garnished with onions and coriander and paired with hot pav doused with butter. Get the recipe here. Looking for Pav bhaji bun recipe then do check the very famous and all time favourite street food for everyone. They are so easy to make, very light and fluffy, which makes them very hard to resist. Get the recipe here. Pav Bhaji Toast Recipe is one of the best invention of Tarla Dalal and once you try this recipe at home you will definitely love this. Get the recipe here. 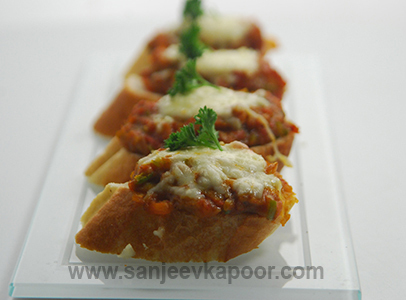 If you are looking for quick and easy dinner ideas, you should definitely give Pav Bhaji Bruschetta recipe a try! This pav bhaji recipe is one of the most loved, tongue tickling and mouth watering dish that no Mumbaikar can't resist. Get the recipe here. 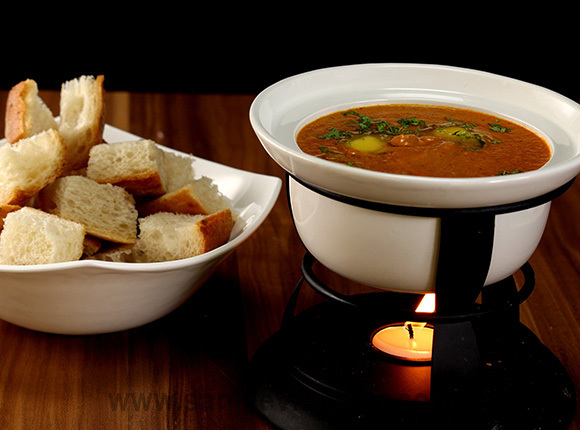 Pav Bhaji fondue is just outright delicious! The lip smacking pav bhaji smartly combines spices, veggies, mashed potato, and served with chopped onions, cilantro, lime wedges and a dollop of butter (the more the better). Get the recipe here. Paneer pav bhaji recipe is a variation of Mumbai's favourite Pav bhaji which is sold across the City and joint's. A must paneer pav bhaji recipe for paneer lovers. Get the recipe here. I bet this beautiful-looking pav bhaji tastes as good as it looks. Get the recipe here. If you thought Pav Bhaji cannot be made without potatoes, onion or garlic then nothing is impossible in the city of dreams, Mumbai. 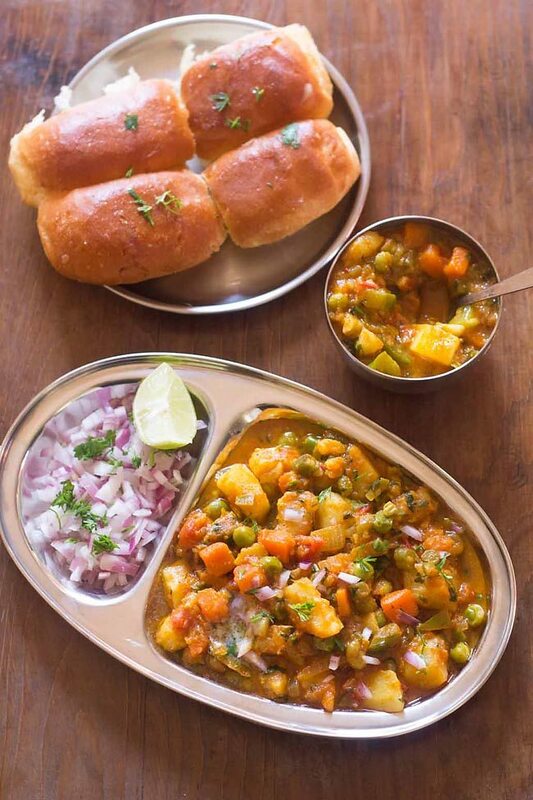 Jain pav bhaji recipe is simply cooked with raw banana, vegetables and mild spices for making a perfect Indian vegan dish. Get the recipe here. Khada Pav Bhaji is a variation to Pav Bhaji recipe and it's one of the most loved food recipe in Mumbai and it's rejoints. It is little different from Pav bhaji as the vegetable in it is not mashed and has got vegetable chunks in it. Get the recipe here.